I was looking for a relaxing comedy and Love and Other Disasters did satisfy that! The movie is about a vogue fashion intern, Emily (Britanny Murphy) who love setting up her friends and helping them find true love. She lives with her gay friend, Peter (Matthew Rhys) and shares a very close relationship with him. A new fashion photographer starts working with Emily and she thinks he would be the perfect guy for Peter. Peter on the other hand is smitten by someone and tries to pursue his love interest. Emily is so blinded by setting up people that she forgets that she has someone who loves her and wishes to be with her right in front of her. The truth slowly unwinds as Emily is on the path to finding her love. Peter’s point of view is narrated as it is hilarious! There are some parts where you start to think that the movie is lame but once I saw this part, I got interested. It was a good watch for me as I was pleasantly surprised. I thought it was going to be like the regular boy-meets-girl-and-falls in love kind of movie, but it was most certainly not. My favorite line: Dawn French’s analogy from the clip! Set in South Africa, Cape of Good Hope is a warm film based on the lives of people from different races who work together. The story begins with Kate (Debbie Brown), caretaker of an animal shelter, who is having an affair with a married man. She works with Sharifa (Quanita Adams), who has been trying to have a child for years now. Jean Calude (Eriq Ebouaney) is a handy man at the shelter and is smitten by Lindwe (Nthati Moshesh). He was a professor at Congo but was forced to take refuge in Cape Town. Morne (Morne Visser), a widowed veterinarian, tries to ask Kate out but is constantly turned off as Kate still has some unresolved issues. The film takes a turn when Lindwe is sexually assaulted by her employer but is wrongly accused of stealing. Does Kate end the affair and give into the charm of Morne? Can Lindwe settle down with Jean Claude? And then comes Sharifa’s problem. I found it to be a bit slow in the beginning, but the film picked up it’s pace in the second half. Writer/ Director Mark Bamford, has included some comic moments, that makes this a pleasant film to watch. Life is filled with uncertainties and there is something that brings it all together. Do watch this drama next time! Love is the force that holds it all together. 8th grade. That’s the time when our character starts shaping up. In whatever timeline we are, some things never change in the 8th grade.There is always going to be that geek whom everyone doesn’t want to mingle with and that pretty girl with whom all the boys want to share a kiss with. 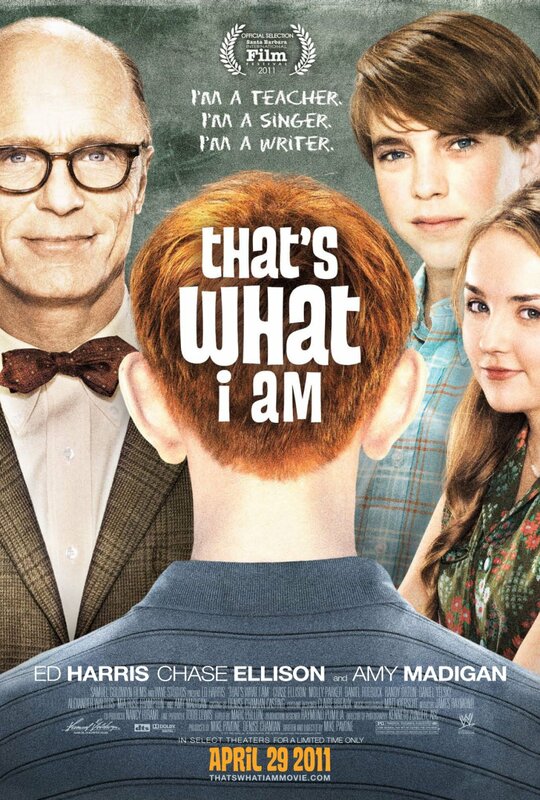 Set in the 60’s, That’s what I am, is based on kids from the 8th grade, just before they blossom and reach high school! Stanley (Alexander Walters) or Big G (G for ginger as he was a redhead), was one of the smartest kids in the school. But he was also one of the biggest geeks hanging out in the “geek corner”. Mr. Simon (Ed Harris), the English teacher, decided to pair up Andy (Chaise Ellison) with Stanley for a school project. Andy was frustrated with this choice and does not know what to do. He had no other option but to get the job done with Stanley. The film revolves around his narration of the happenings in the 8th grade at his school. The film captures the kids very adeptly as they reach puberty. I think it was a very matured way to show that even the geekiest kid can be what he wants to be by maintaining his/her self respect and dignity. I enjoyed Ed Harris’s subdued characterization of Mr. Simon. I especially loved the part where Mr. Simon won a contest that involved describing world peace in 25 words or less and he just wrote an equation: Human Dignity + Compassion = Peace. 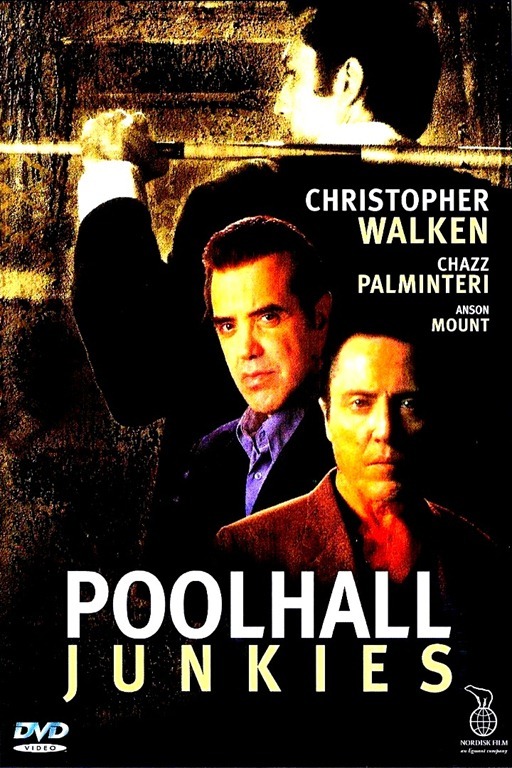 The film is very crisp with some great lines by writer/director Michael Pavone. Do watch this simplistic yet entertaining movie! Life is about timing, opportunity and choices. Let’s start one flick a day with a movie that I recently caught on Netflix. 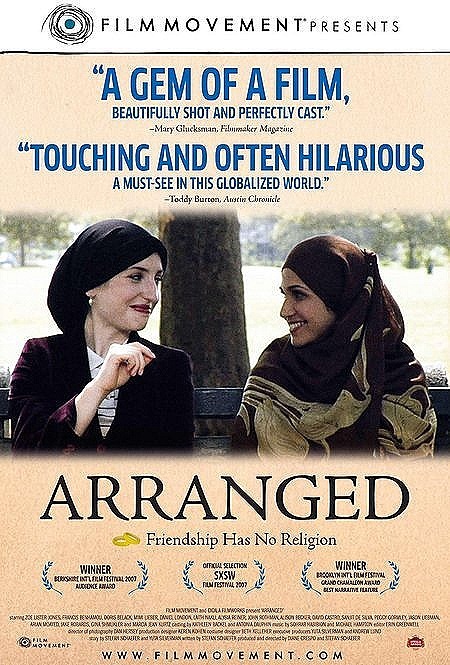 Arranged is a warm hearted film based on the friendship of two teachers. Rochel (Zoe Lister Jones- you might recognize her from State of Play) , is an Orthodox Jewish woman and Nasira (Francis Benhamou), is a Muslim woman in Brooklyn. Although they come from different backgrounds, Nasira and Rachel are pressured into an arranged marriage by their parents. In the process, they both come across men who do not meet their idea of The One. This common ground strengthens their friendship as they share their experiences about the men they are forced to meet. In the past, in countries where arranged marriages used to be practiced, the match was chosen by the parents. If an individual was single, he/she would get his/her match through word of mouth or through agents. Now that has been replaced by matrimonial websites and the children are also given a right to accept or reject their match. Directors Diane Crespo and Stefan C. Schaefer create this feel-good movie with excellent performances by the two female leads. With a combination of emotional and hilarious moments, the movie definitely brings a smile on my face. Stop surfing through the Netflix library and take some time out to watch this movie.